Quick overview This text provides trainees, teachers and schools with practice-based advice, informed by current practitioners, relating to the delivery of British Values. It covers many topical themes and supports educational professionals to understand their duties around the PREVENT agenda and goes further to explore why this is important. 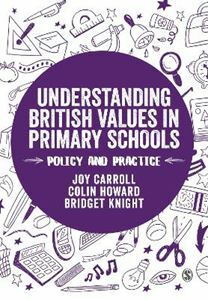 This text provides trainees, teachers and schools with practice-based advice, informed by current practitioners, relating to the delivery of `British Values. The content covers many topical themes and provides a unique insight into delivering `British Values' in schools. It supports educational professionals to understand their duties around the PREVENT agenda and goes further to explore why this is important. It helps trainees and teachers to see how these 'values' fit within the wider context of education and what we value as educators.